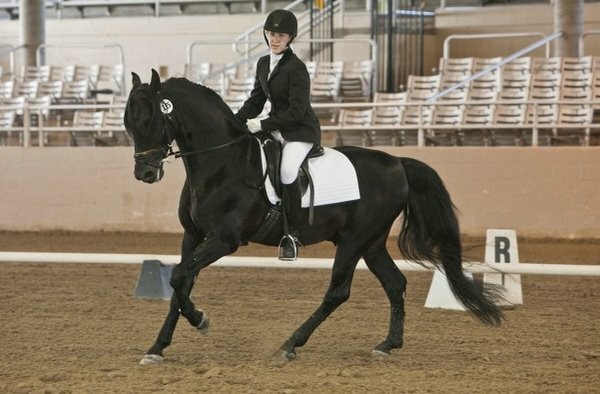 Dr. Gene is a solid black 2006 Saddlebred stallion by Jasluca and out of the five-gaited ASB mare, Highpoint's Fandango. His dam was a star in the show ring in both California and Kentucky for many years, and was a particular standout with Nancy Trent in the irons. You can see a photo of Highpoint's Fandango in action here. Jazz's influence on Dr Gene is unmistakable, as both father and son have the same expression and similar mannerisms. He definitely gets his compact build from his sire and since he also has tons of hair (his thick mane flows well past his knees! 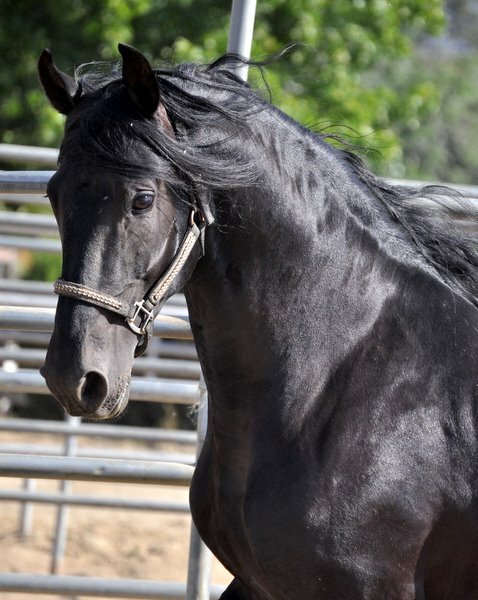 ), he is often mistaken for an Andalusian. Like Marshall and Jasluca, Dr Gene is a saddlebred sporthorse with a career in the dressage arena rather than in saddleseat. He has a short back, an elegant neck and a tremendous amount of strength in his hind end that makes it easy for him to collect and engage. He is a very willing partner and is always eager to learn. We have found that as he advances in his dressage training, the movements seem to come to him more and more easily and he makes progress even faster. He has a fantastic temperment for a stallion, and can be counted on for good behavior even in a chaotic warm-up arena at a busy show. Dr. Gene is currently showing 1st Level dressage and is already schooling all of the movements for 3rd level. 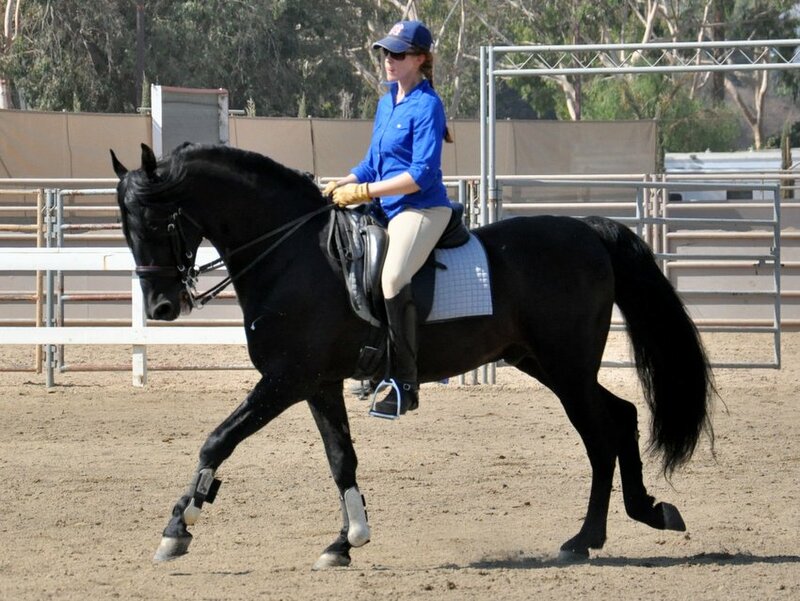 He has had some High School dressage training and already has an exceptional piaffe, so we have no doubt that this handsome stallion has the potential to reach the FEI levels of dressage in the future.